Worried of Hair Loss or Pattern Baldness? Wigs in Delhi resolves all your Hair related issues in Noida, Delhi. Bald spot on the scalp, is caused by Alopecia Areata. The immune system of body produces antibodies, it struggles off the damaging microorganisms begin to harm the hair follicles and led to hair loss in small patches of baldness. There are several causes of baldness. Androgenetic Alopecia - Caused due to Genes or hereditary or or because of higher level of androgenes. Hair Thin down from the front & the Central Scalp. Know the causes of hair loss with proper guidance our Hair Experts and get appropriately treated. There are several options to prevent the loss of hair like consuming oral medication and applying topical medication, or you can also opt to undergo certain Non Surgical Hair Transplants or Hair Replacement and Weaving. Thus even if you have thinning hair, you can always choose technology to fight hair loss and get back your original appearance. 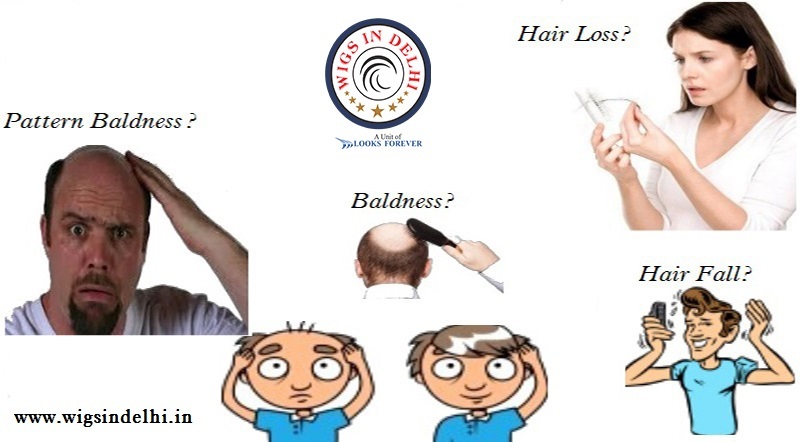 For Best Hair Loss Treatment Clinic in Delhi or Best Hair Loss Treatment Centre in Delhi, visit our clinic at Wigs in Delhi or Call now on: +91-9555-122-122.